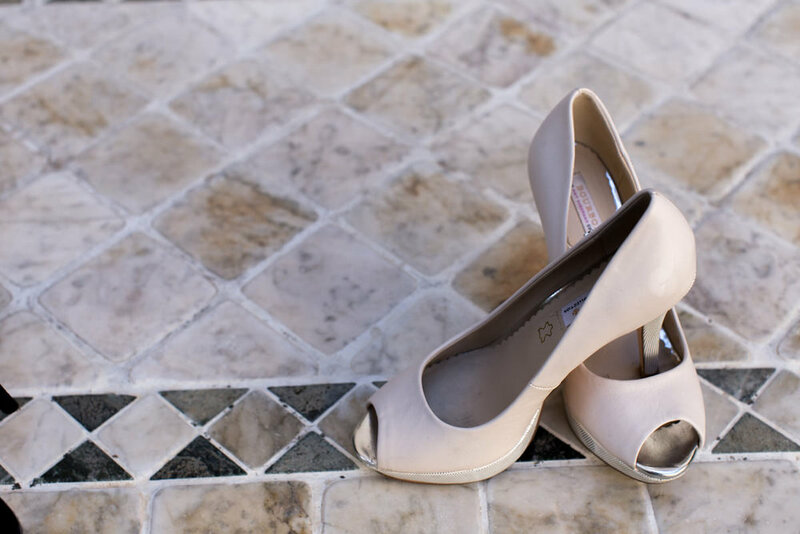 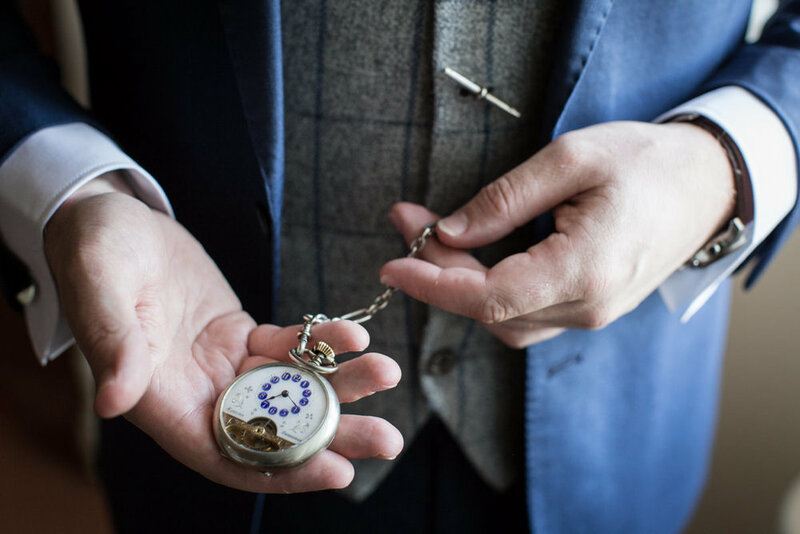 Sometimes I can help the bride, choosing the venue, the floors or just with some little hints. 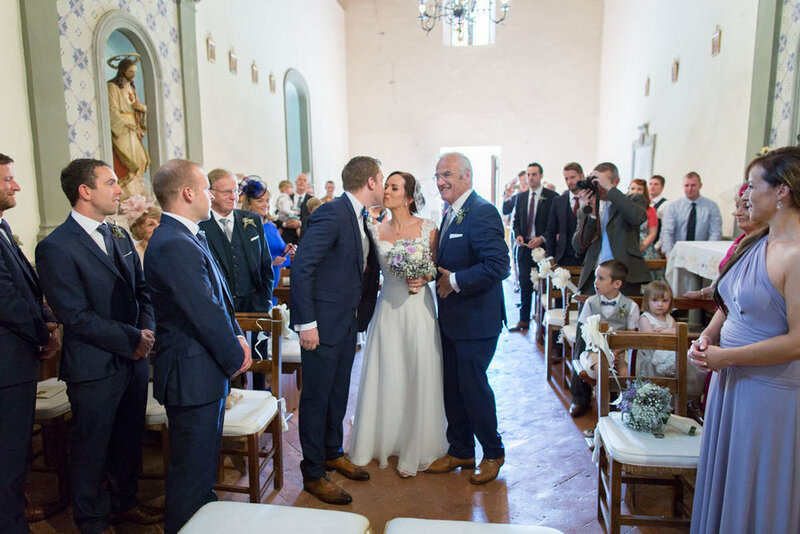 As I did hundreds of weddings, it happens that they have some doubt and I'm very glad to help them, when possible. 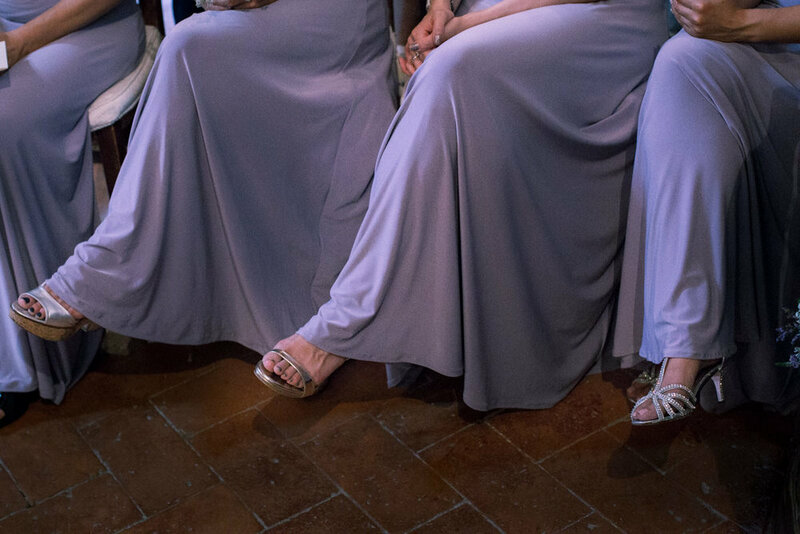 With Deborah, there were no need and no doubt. 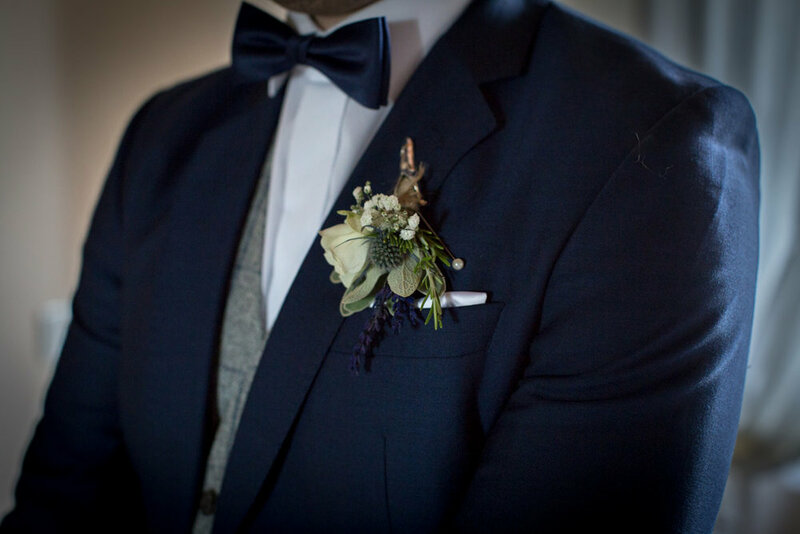 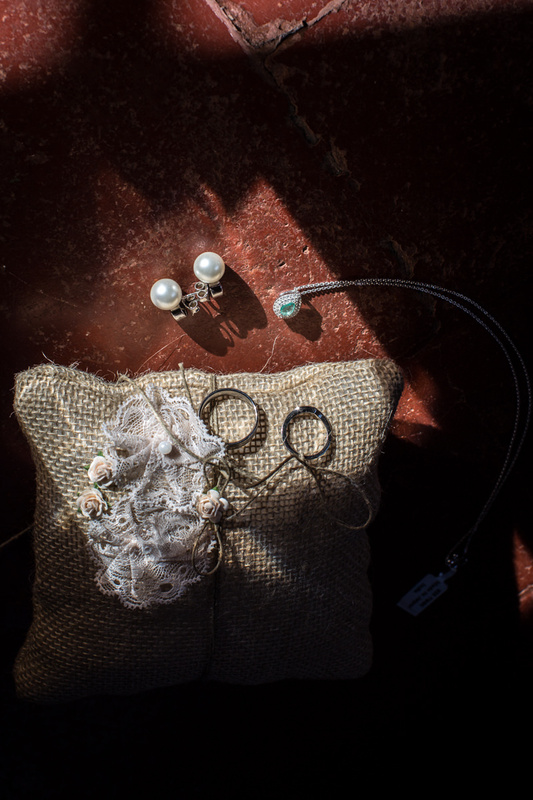 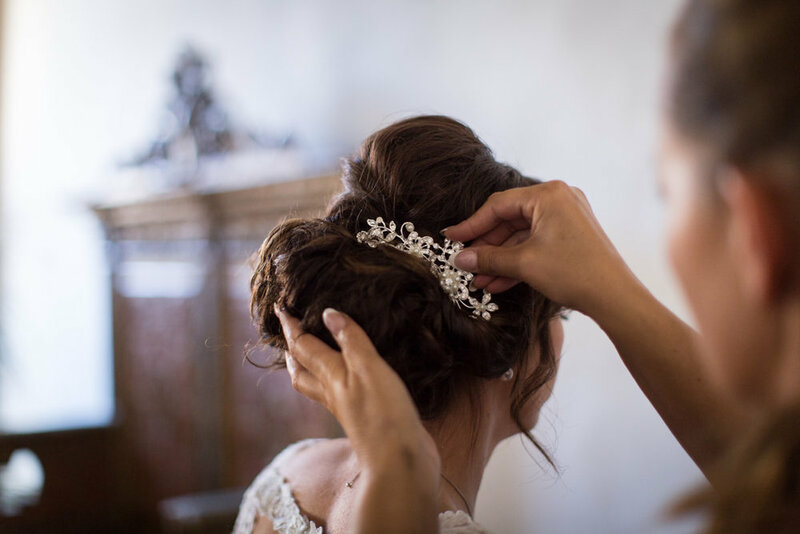 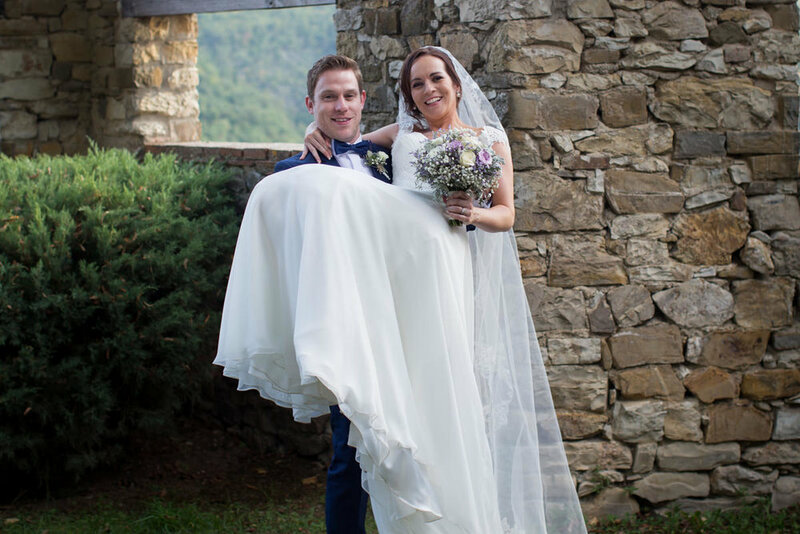 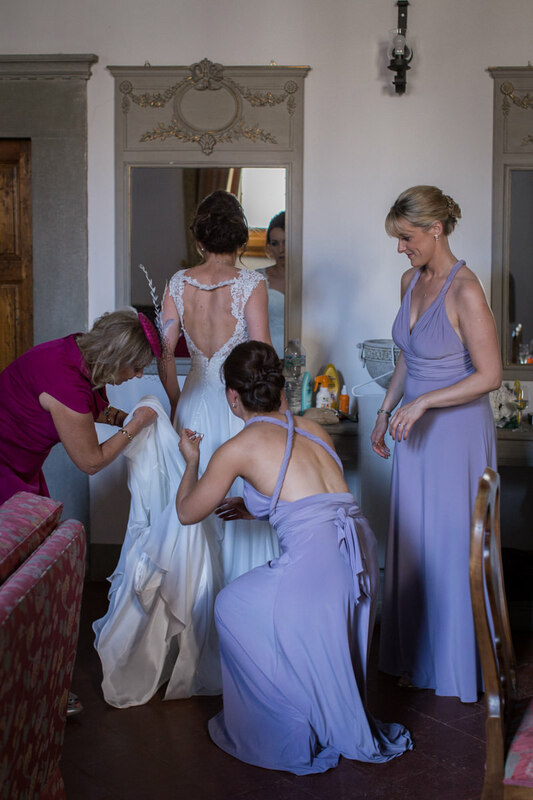 She did care for every detail and she also had help from the wedding planner, Katia Morales of KM Weddings Italy. 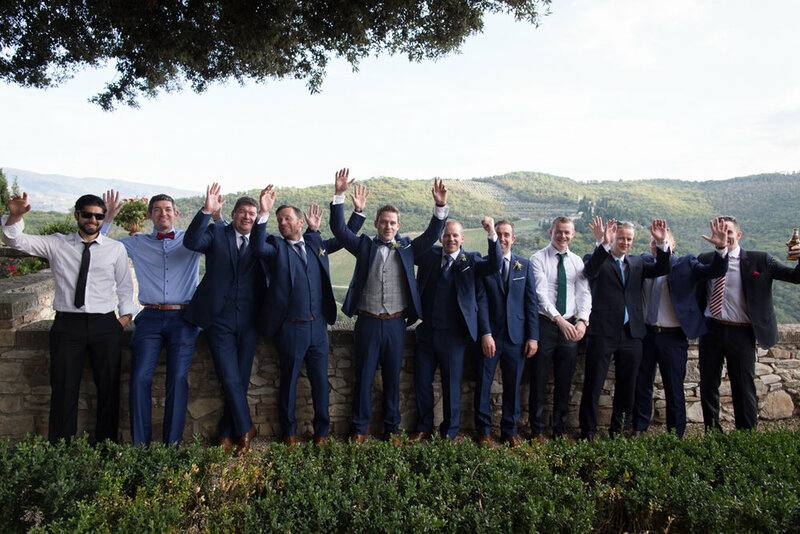 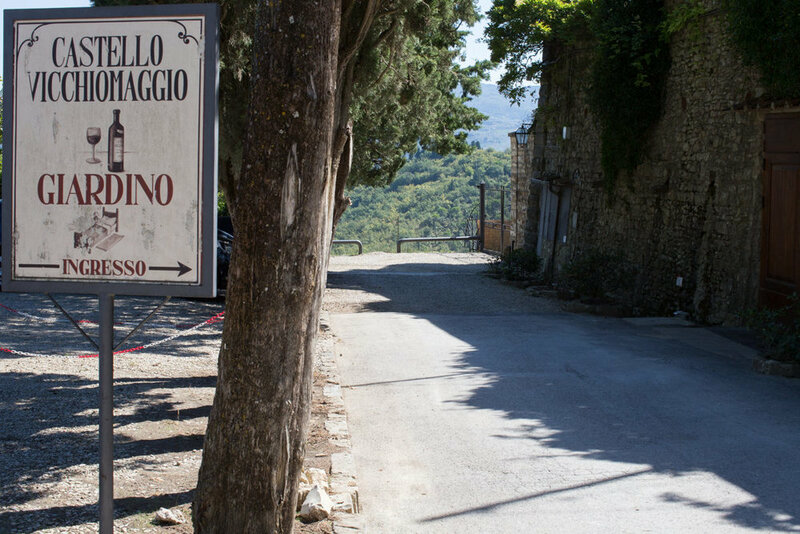 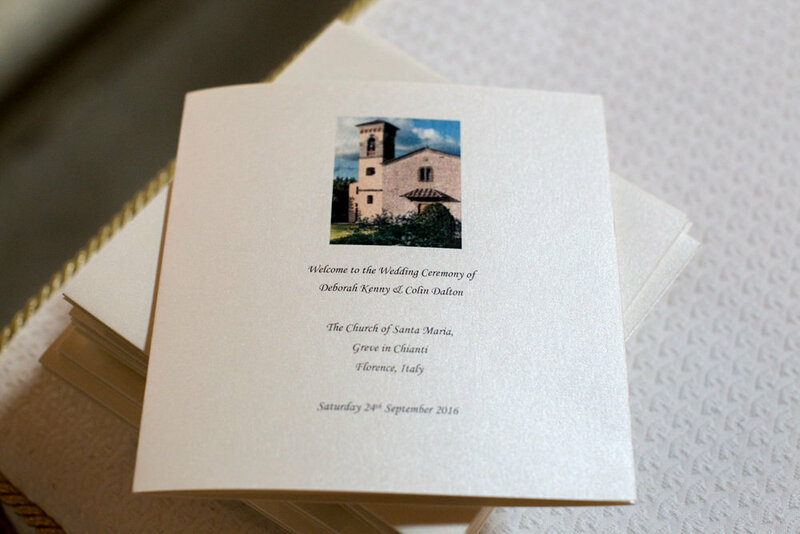 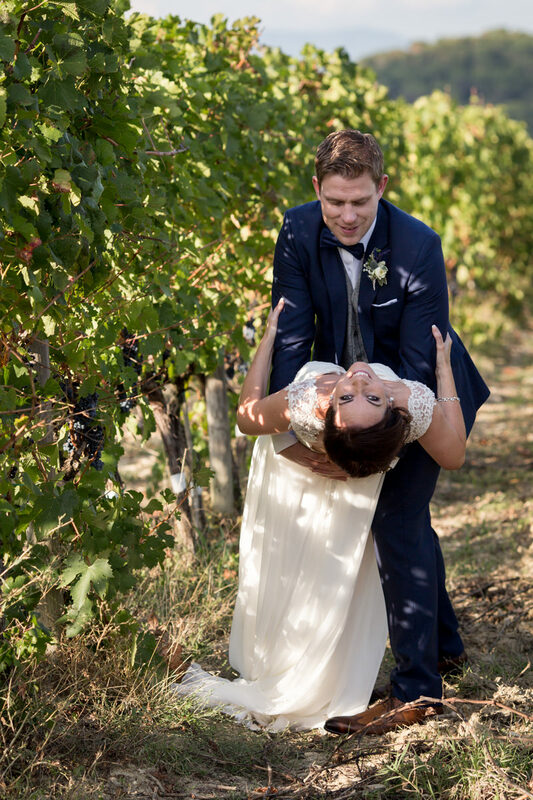 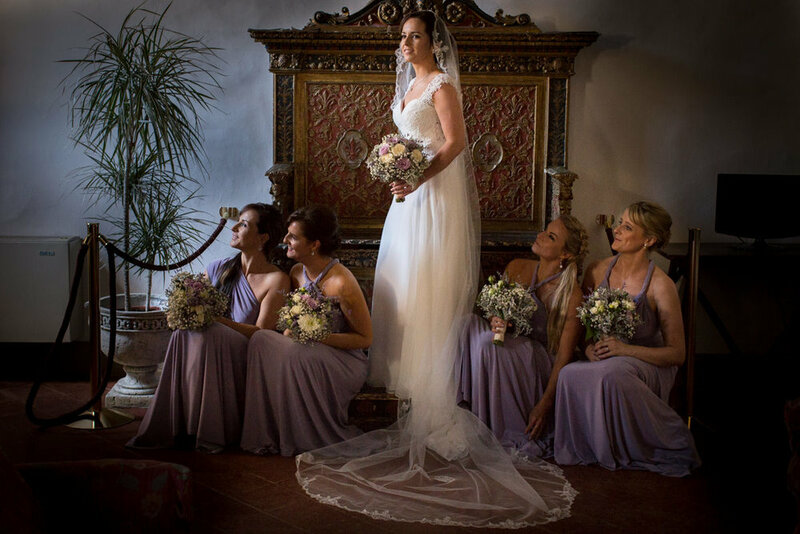 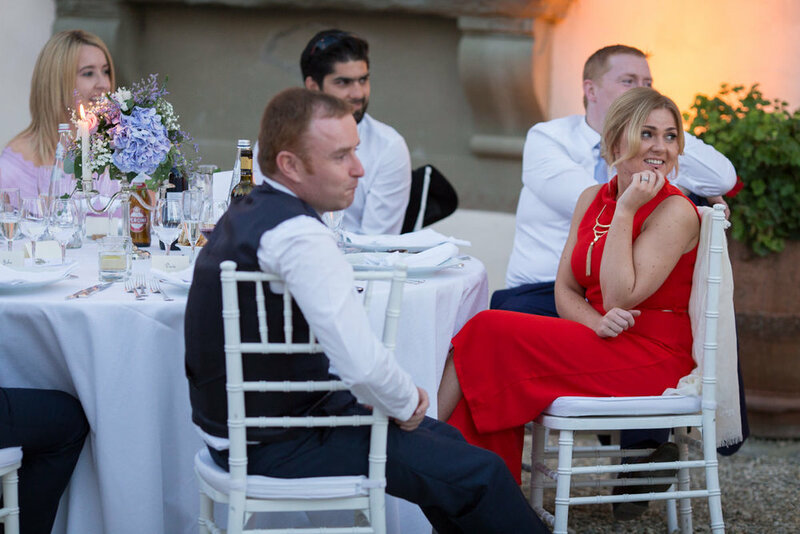 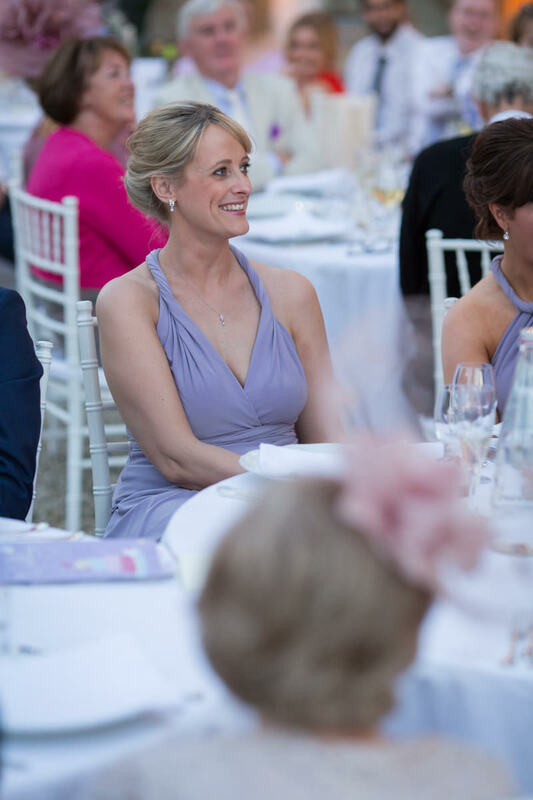 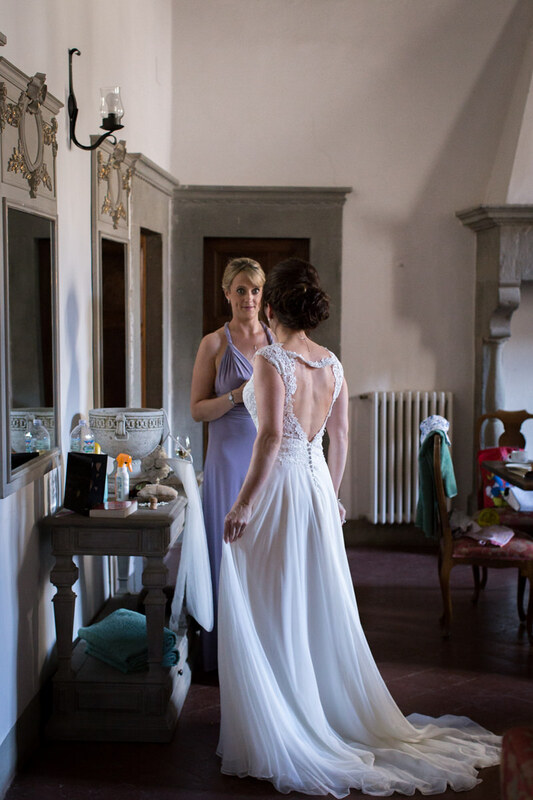 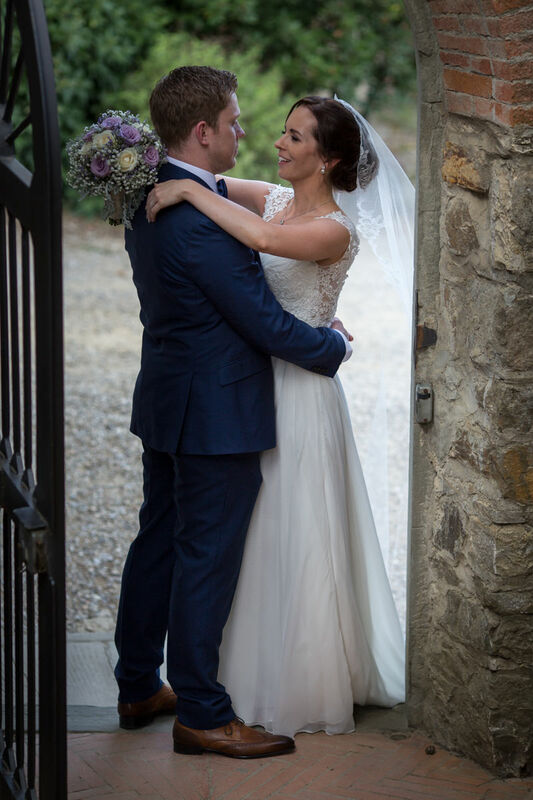 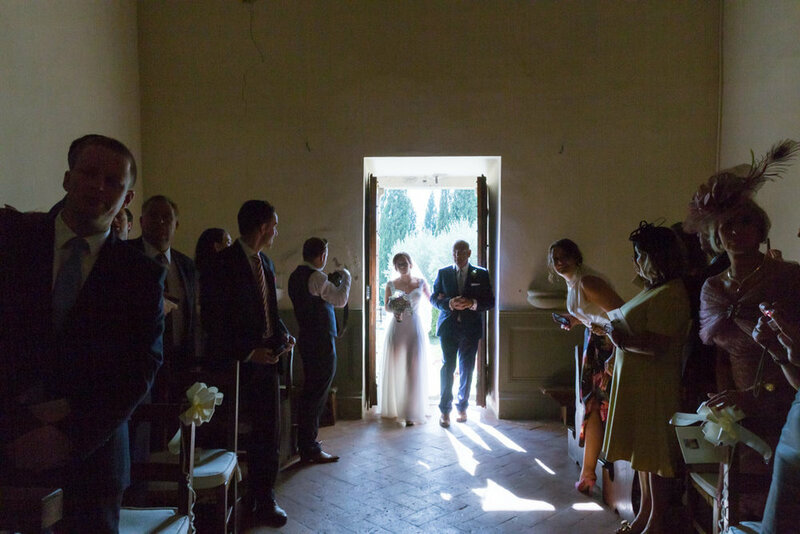 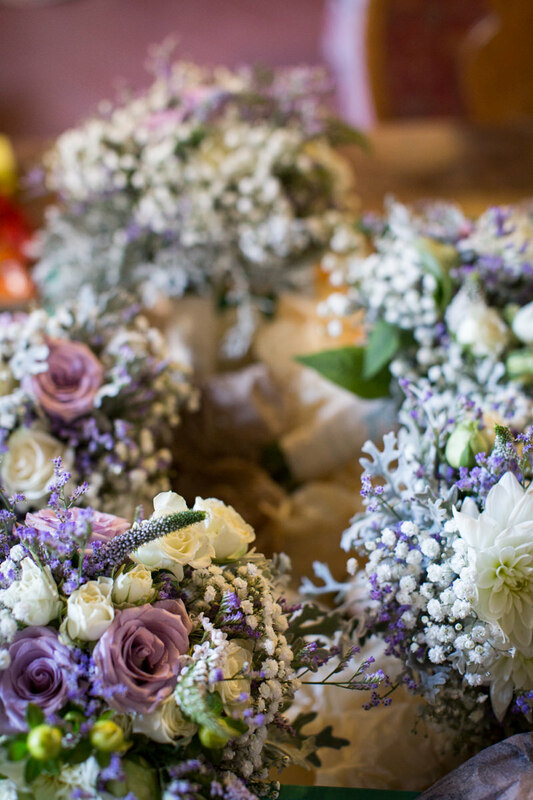 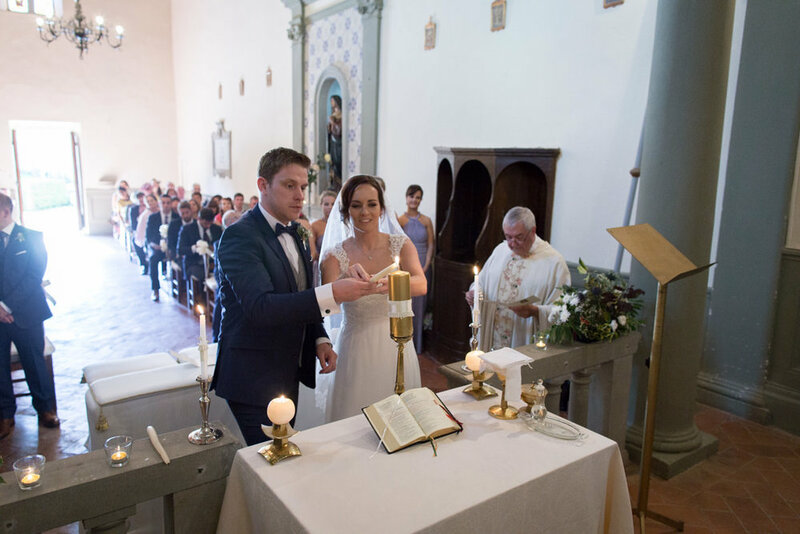 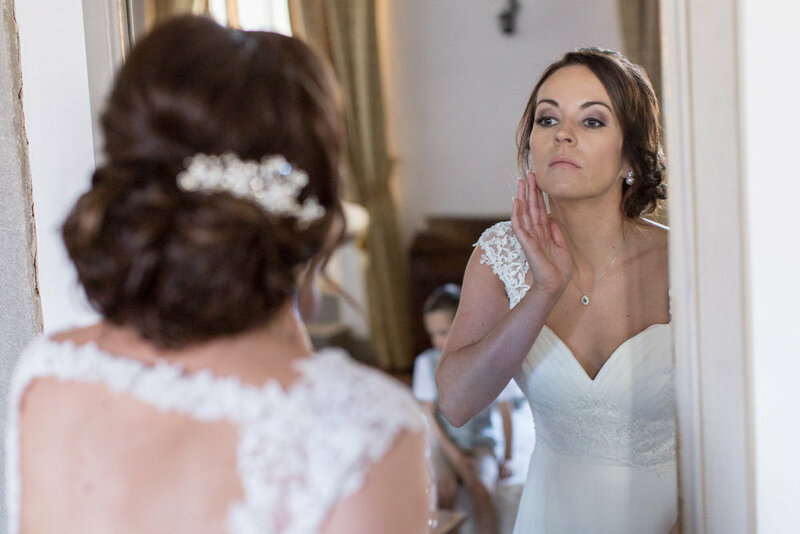 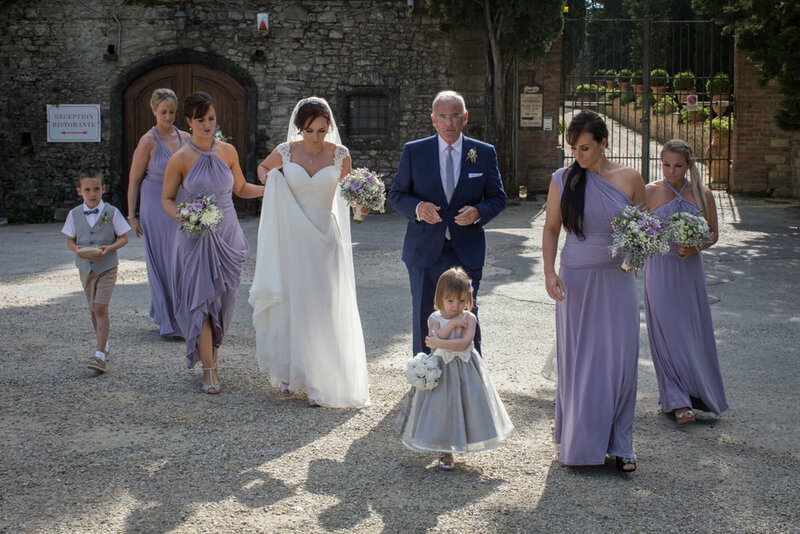 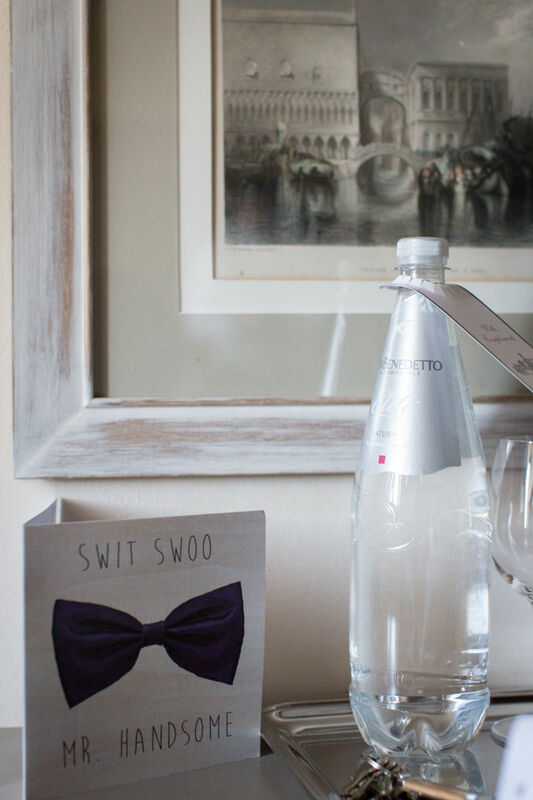 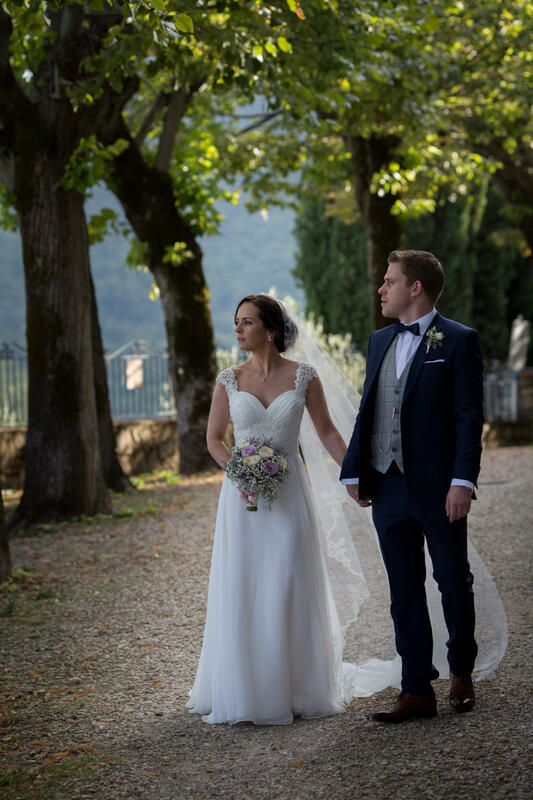 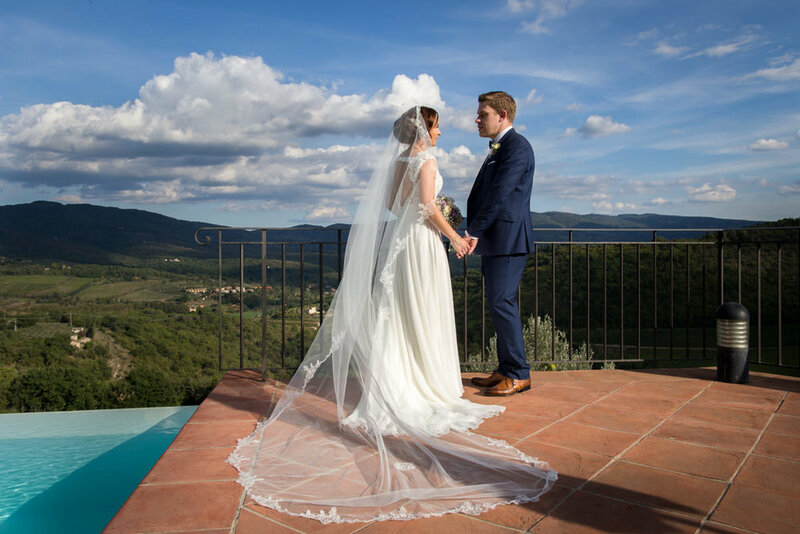 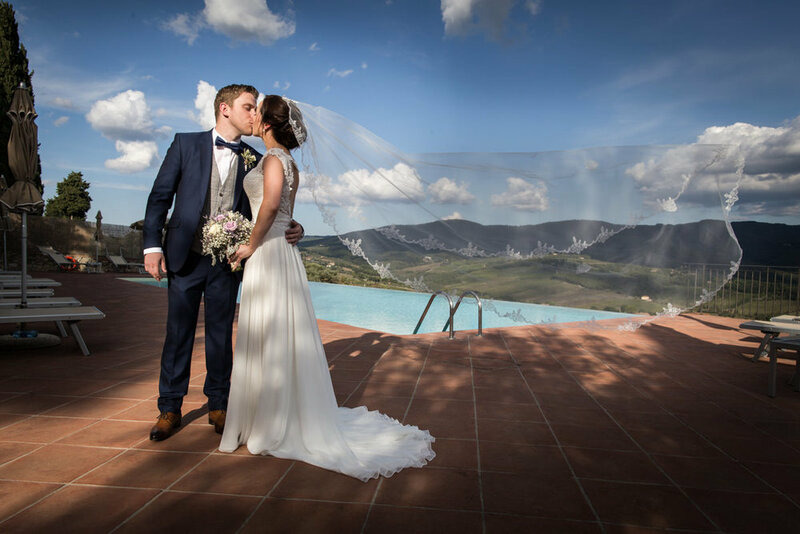 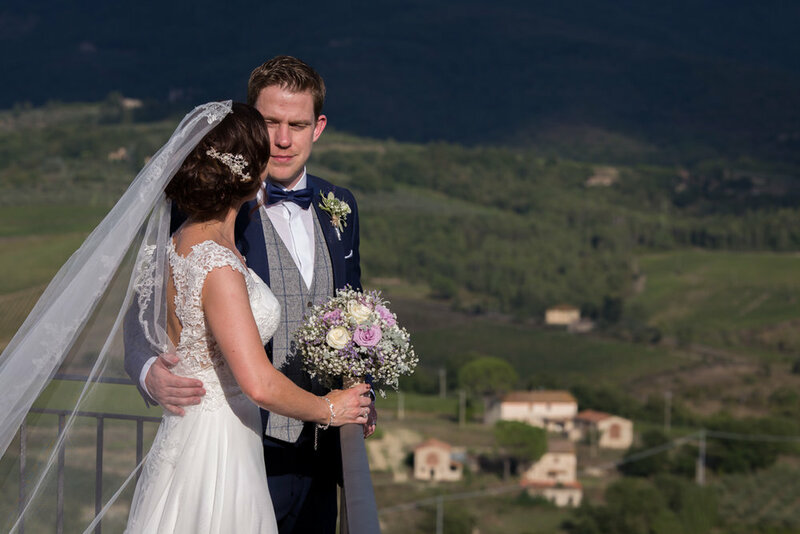 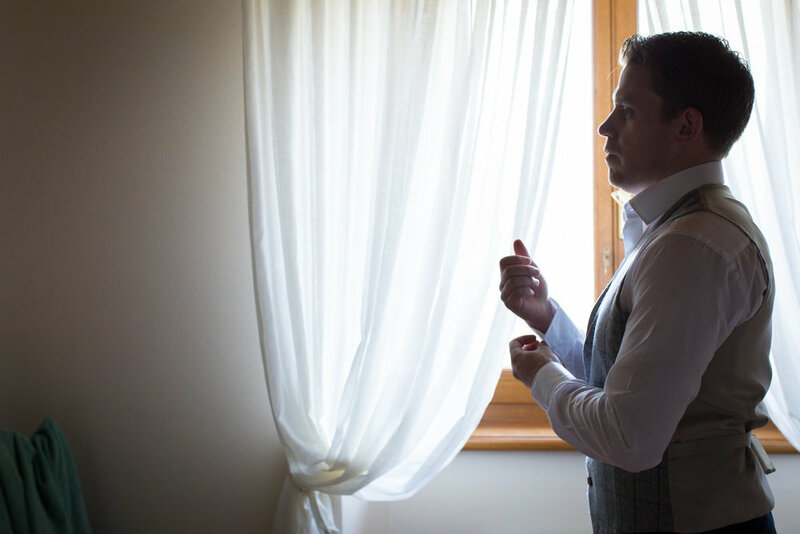 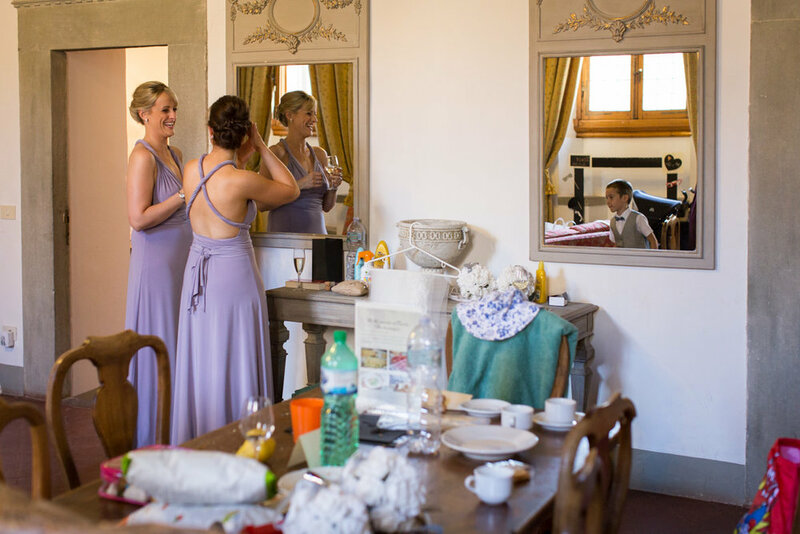 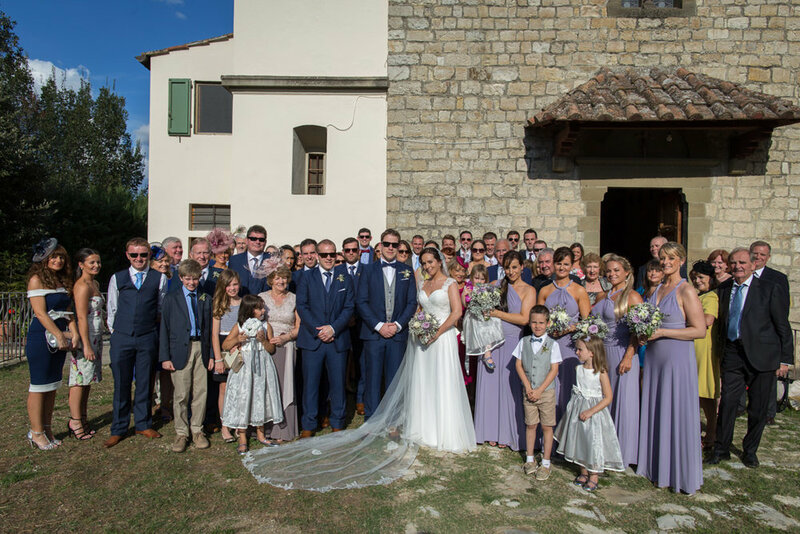 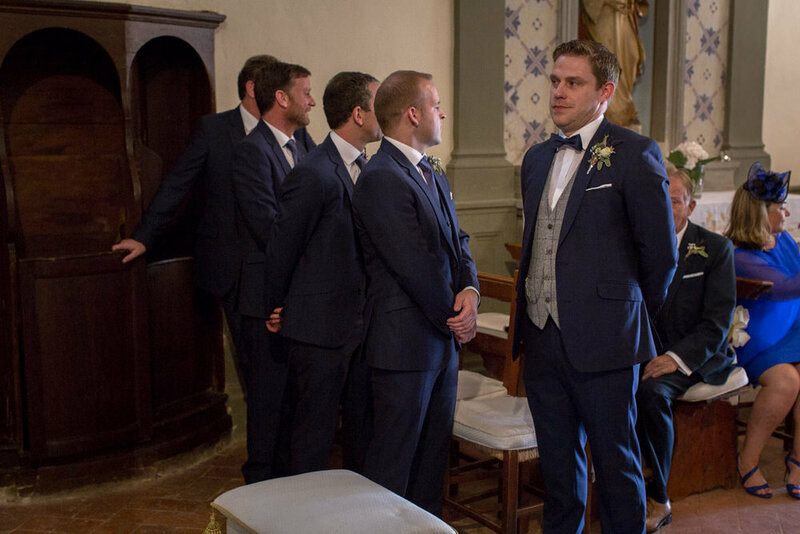 Deborah & Colin choose Castello Vicchiomaggio in beautiful Tuscany for their wedding dream. 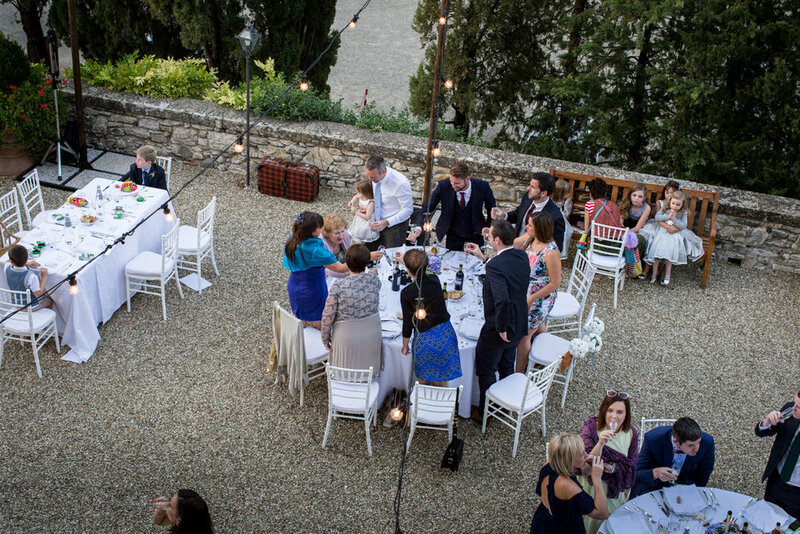 It's a venue with a view! 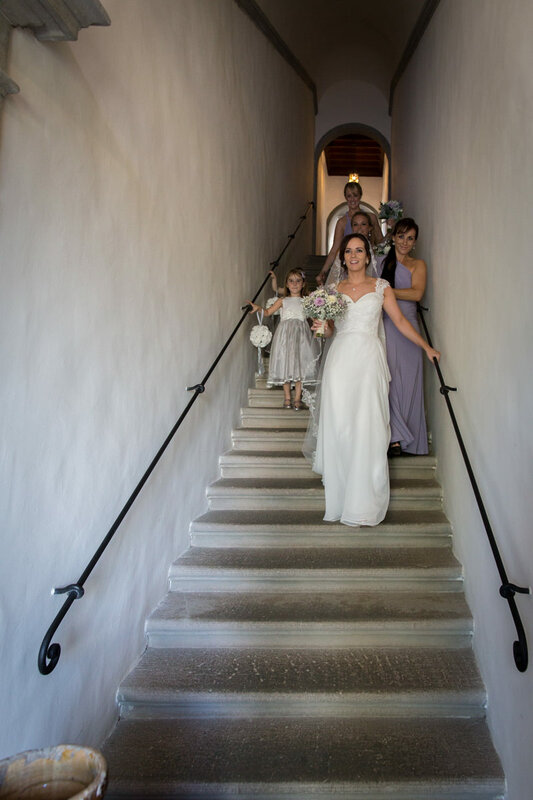 As the castle has the church too, just outside of it, it was the perfect venue! 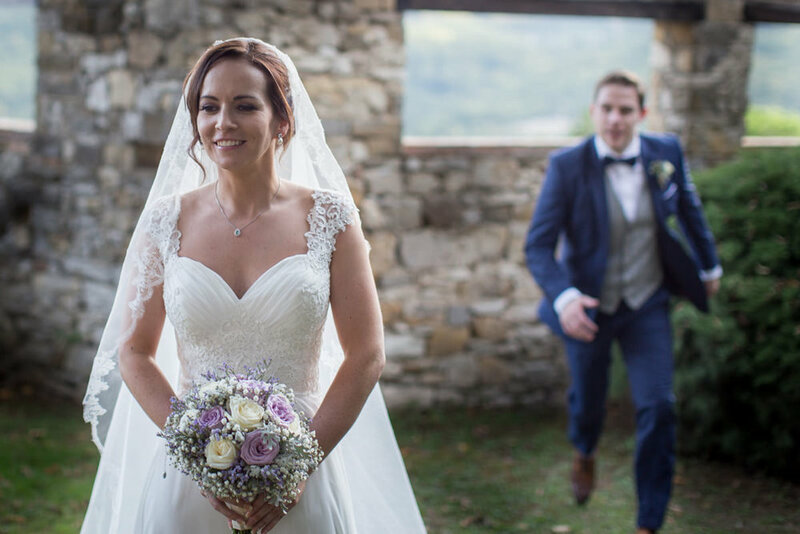 The bride was really happy and full of emotions. 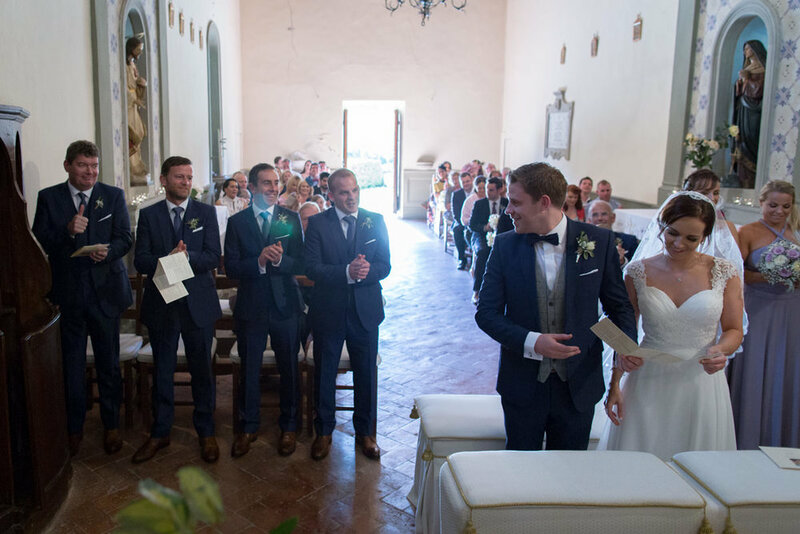 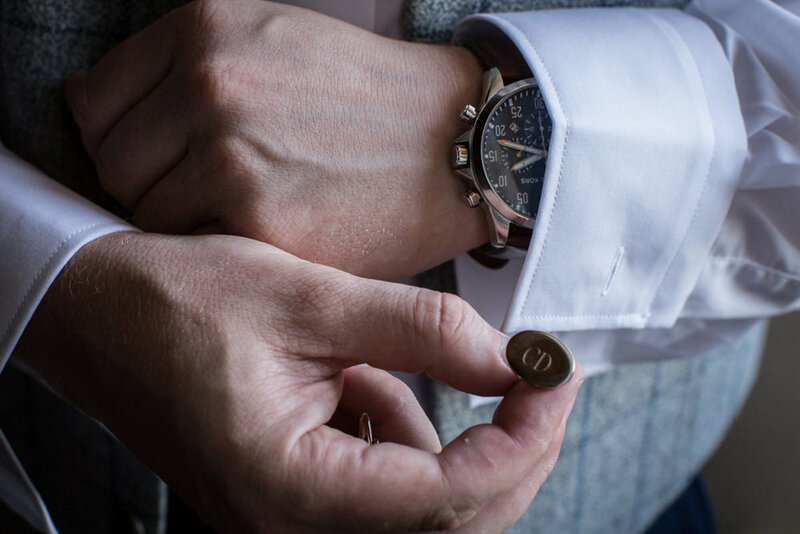 The ceremony was very nice, they exchanged the rings and the coin. 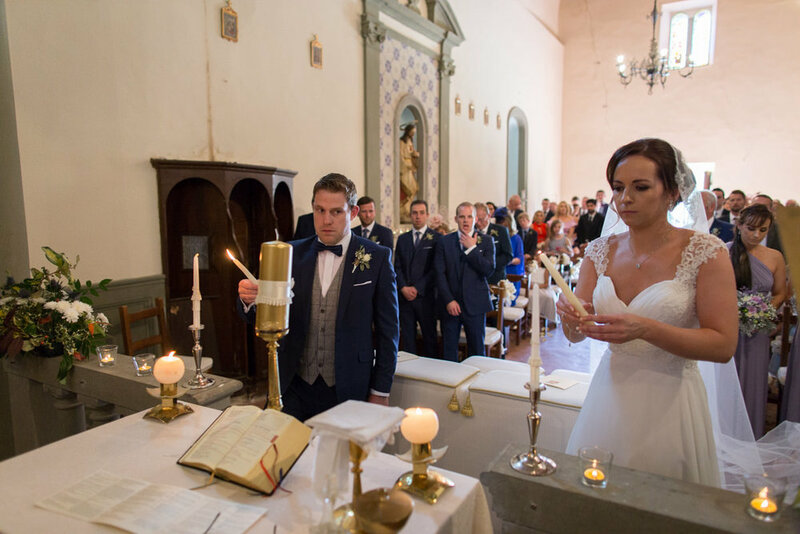 Then they light the candle. 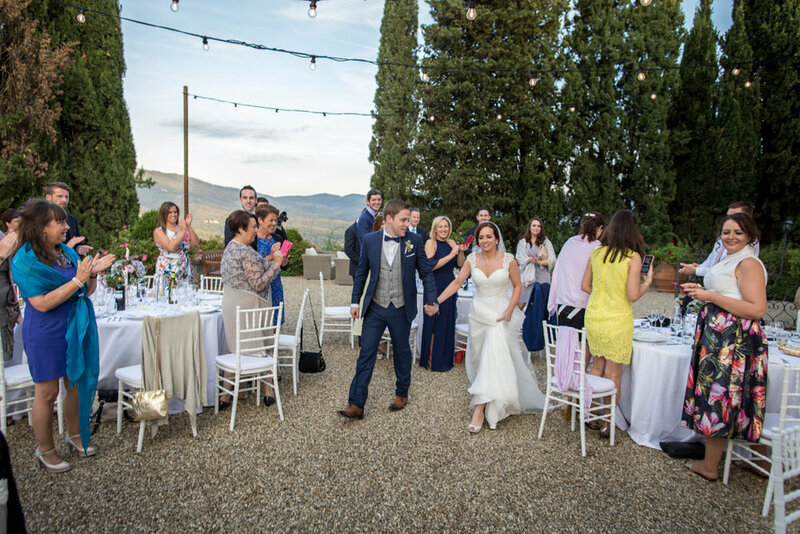 The weather was very good (as often is in Tuscany) so the reception was made in the patio, with a lot of delicious food and good wine. 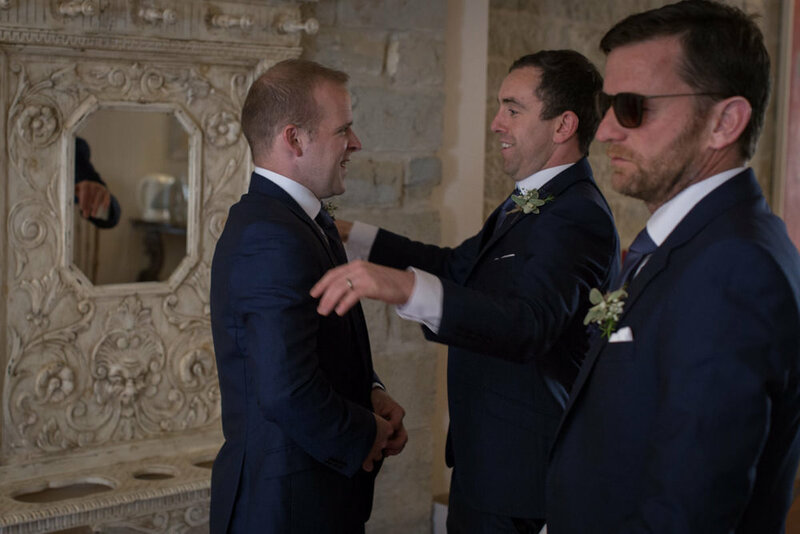 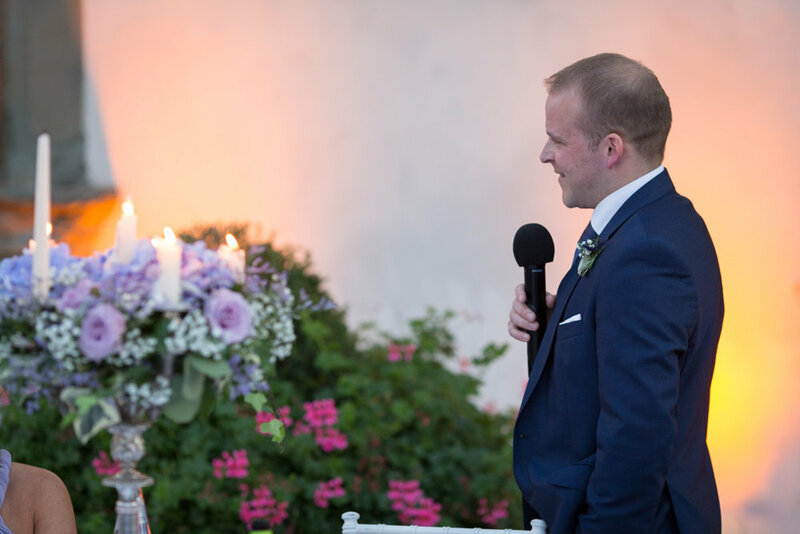 There were many emotional speeches, as usual for an Irish wedding and the groom had a lot of fun. 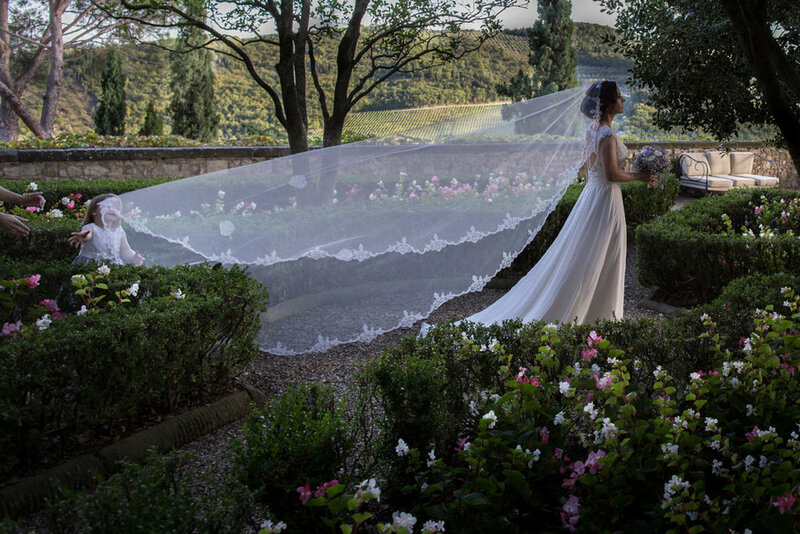 Deborah wedding dress, her veil and her smile and most of all her happiness, made the day awesome for the guests too. 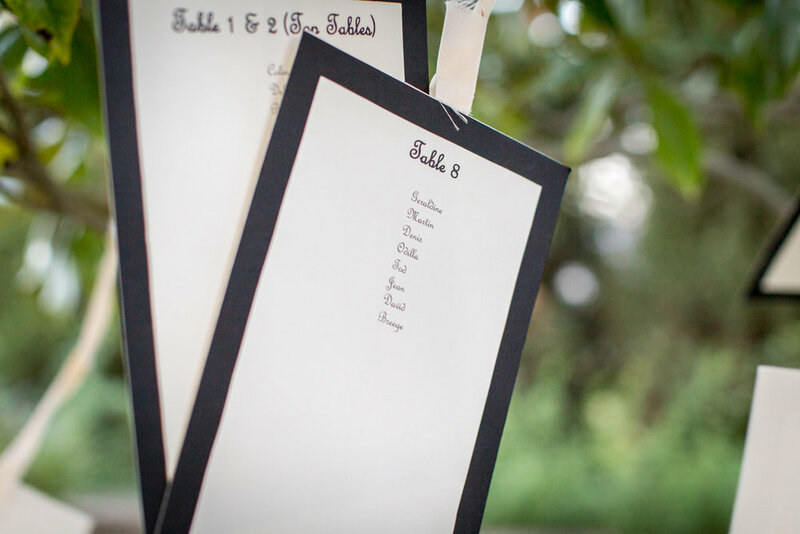 Other vendors were provided directly by Castle team.